...if you like bears, the outdoors or cool photography. 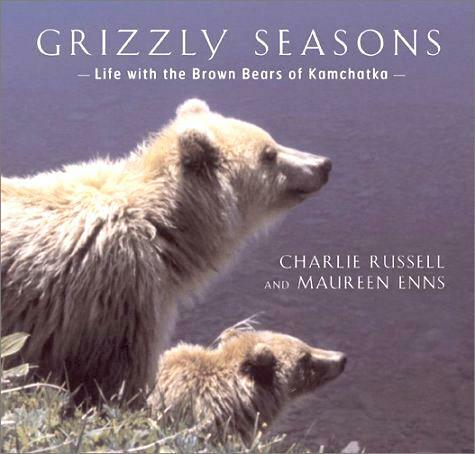 My friends Charlie Russell and Maureen Enns just put out a book of photographs from their years studying grizzly bears in Kamchatka. Page after page of stunning closeups of grizzly bears in the wild. Many with Charlie or Maureen interacting with them. They've dedicated a lot of time to proving that bears are not the vicious creatures of popular culture. They're intelligent, peaceful and playful. It's called Grizzly Seasons: Life With the Brown Bears of Kamchatka.